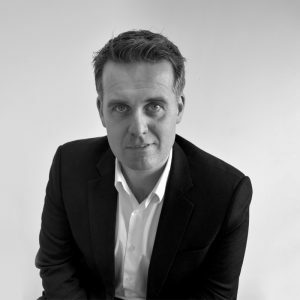 Geoff Lyons, managing director PML Group, outlines the emerging trends that OOH is embracing and how they will impact on the medium in 2018. Out of Home has a long history of powerful and famous creative work. It is an unblockable and unskippable medium that delivers scale, can sell products and create brand fame. A medium that can quite literally stop people in their tracks. High-definition digital screens and data-driven dynamic content now provide even more creative potential and measurable effectiveness than ever before. As the leading Out of Home communications and location marketing agency in Ireland, we now know even more about what people think, feel and do out of home. We translate this understanding into compelling, creative and quantifiable OOH solutions through investment in data, technology and people, which make a meaningful difference to our clients’ businesses. In a fragmented media landscape, OOH continues to deliver in both reach, frequency and time spent (over three hours a day). 2017 was a pivotal year of OOH with the first roadside digital screens launched in Dublin and Belfast. OOH has witnessed an increasing migration from paper to pixels in the current decade. Screen signage now resides in a wide range of environments from retail to leisure to travel hubs. Digital OOH amplifies the core “one to many” benefit of classic OOH – namely brand building through coverage build and repeat viewing. Digital further enables flexibility with media and creative copy – to deliver the right message at the right time in the right places for audiences. It offers tactical opportunities in daily and daypart planning while technologies such as our proprietary Dynamic platform allows for contextual messaging based on live data triggers including weather, traffic and social media. This is highly impactful and helps brands build a dialogue with their audiences in real-time – and in real-life. Pardon the pun, but Out of Home is in a good place right now. While audiences fragment elsewhere increased urbanisation, commuting times and emerging networks means OOH reaches more people than ever before. The latest census figures also testify to that. Media owners are investing in new display technologies enhancing the quality of message. These initiatives we are seeing will only help drive OOH further in 2018. Location has been described as the cookie of the real world. With nearly a third of search queries still related to location, location-based messaging is not merely a trend on the rise but an expected part of the service. Internationally advertisers using Dynamic campaigns, serving relevant contextual messages, are seeing an average uplift of 15% across branding metrics from displaying different messages at different times according to audience context. A single repeated message broadcast in OOH works, but new, flexible ways of serving campaigns means multiple highly relevant messages can be served by location and will be a viable option for many campaigns. There is a significant amount of synergies when OOH is paired with digital and mobile advertising. As both phones and cities become smarter, Out of Home is perfectly positioned to complement the daily lives of connected consumers. Brands are already tapping into this by incorporating Snapcodes into artwork or complementing OOH with geo-fenced digital campaigns driving reach and engagement. Combining the two channels makes sense for consumers who already exhibit these behaviours and is appealing for brands who can link them to CRM data and track attribution in new ways. New complementary OOH services such as public WiFi, phone chargers, beacons and others will strengthen the alignment between OOH and mobile. Brands invest in understanding who visits their real-estate (online or otherwise) and can often ascribe their customer behaviours to locations. Organisations with huge sets of data, can apply anonymised and aggregated digital data to the real world to see where people are using social media or browsing sites and apps. 2018 will see smarter use of data sets, that when combined with a brand’s first-party data, will produce powerful consumer insight and inform smarter campaigns. New data sets and technologies are allowing advertisers to go beyond demographics to understand who is in front of their ad in real time. Technology is integrating the digital and physical worlds and OOH has an unmatched ability to enhance the impact of digital and mobile marketing in the physical world. 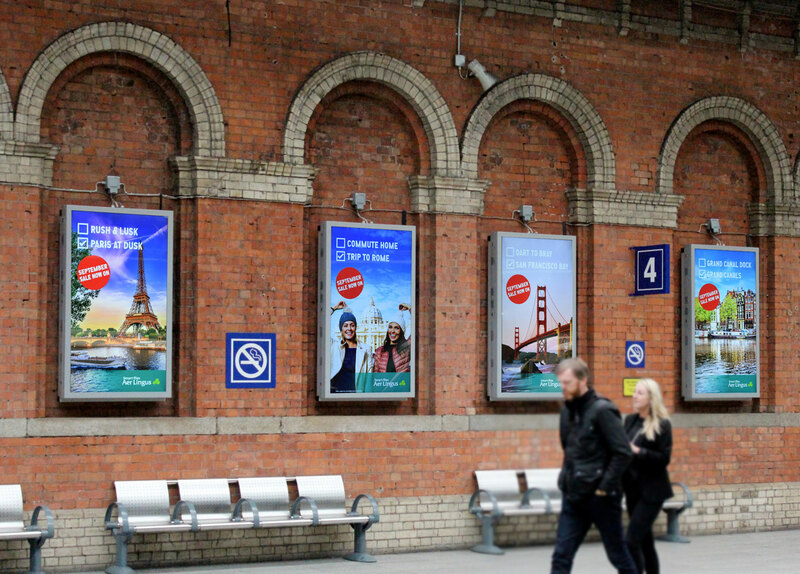 As our cities, especially Dublin and Belfast, grow and connectivity becomes more and more widespread, the opportunities for OOH to bridge the physical to the online will greatly increase. Even from the point of view of population growth, employment growth, commuting, socialising and shopping, OOH has a huge role to play. And as the digitisation of the medium continues apace, we expect opportunities to combine civic information, entertainment and advertising will emerge. OOH already has the foundations for success with unmissable classic formats and locations, but it will increasingly adopt social and digital engagement principles such as short-form formats like GIFs to deliver fast, yet captivating experiences. Brands can think differently across formats but focus on delivering their key goal – be that awareness, consideration or acquisition. By showing content to consumers, rather than explaining product features, advertisers can provide value, letting a product speak for itself in a more powerful and unforgettable way. Content can be useful, creative or contextual but at its core it offers an experience to the consumer so they can connect with a brand emotionally. In a busy multi-media world where brands must fight to win attention, captivating content-driven campaigns, storytelling and driving results, will become far more prevalent. Brands are increasingly utilising OOH for experiential activations. A “show don’t tell” strategy adds depth to traditional messaging and offers viral possibilities. A great example was Aer Lingus who surprised shoppers in Stephen’s Green shopping centre with a live digital panel offering free flights in return for their holiday stories. This drove over three hundred thousand social views. 2018 will be an important year for OOH which will see new and more flexible ways to plan and trade the medium, more relevant and engaging creative, right place and right time ad serving and consequently increased return on investment for advertisers. OOH is reaching a tipping point where data, technology and inventory can integrate and connect to deliver more impactful, efficient and effective campaigns for clients. BE MORE NOW is our 2018 mantra for our clients and our teams as we embrace dynamic thinking across the entire OOH sphere. Watch this space.